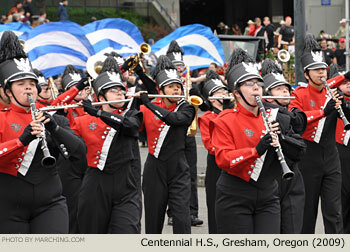 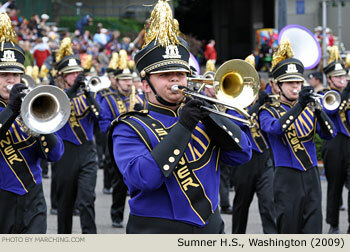 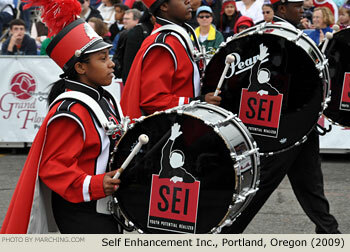 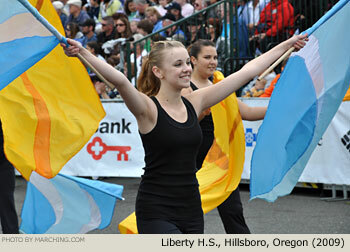 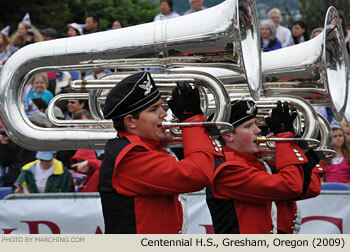 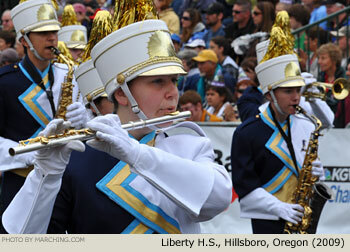 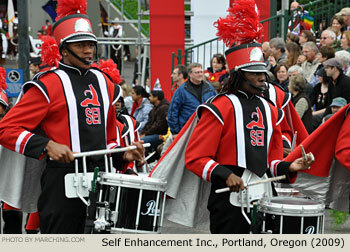 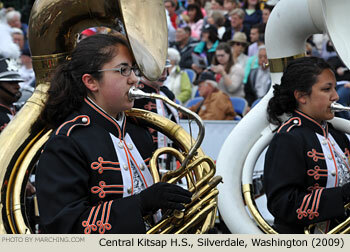 Bands marching in the Grand Floral Parade enjoy a festive atmosphere with hundreds of thousands of enthusiastic spectators lining the scenic route through downtown Portland. 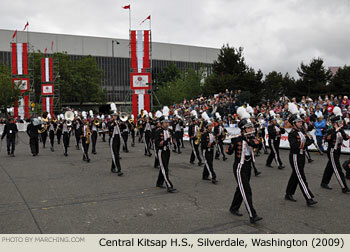 The parade featuring floral floats, international guests and historic elements helps the Portland Rose Festival live up to its recent recognition as "Best Festival in the World." 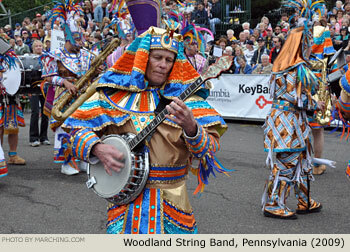 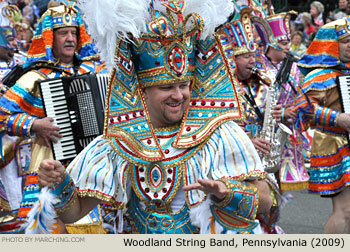 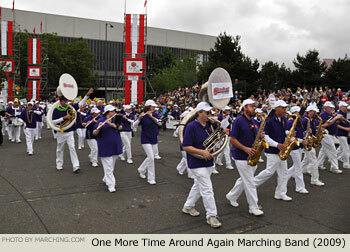 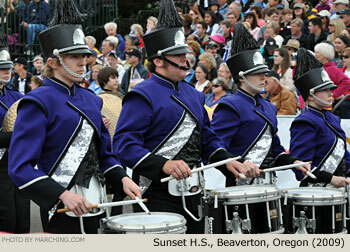 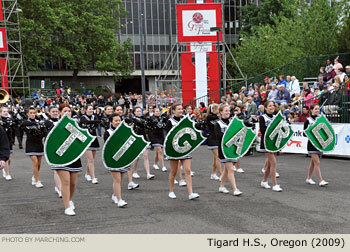 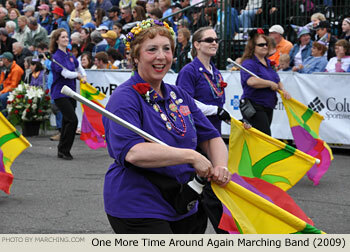 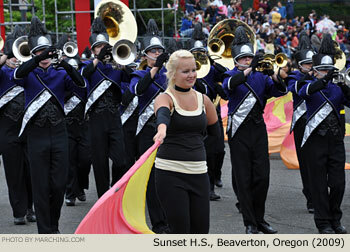 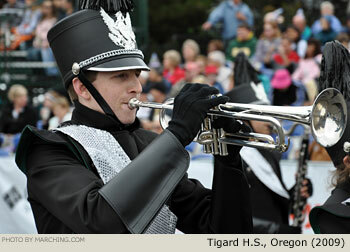 The marching bands from the 2009 Grand Floral Parade and pre-parade Floral Walk are pictured here in order of appearance.